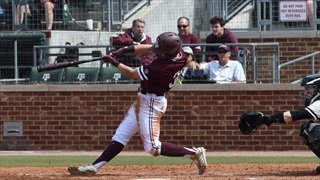 After shutting Auburn out on Friday, the Aggies were held scoreless on Saturday as they dropped the second game of the series against the Tigers. Gabe Bock shares his thoughts on the Aggie loss. 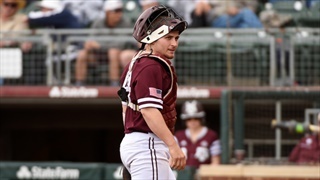 The Aggies have a chance to clinch another series with their second game against Auburn as Asa Lacy takes the hill. 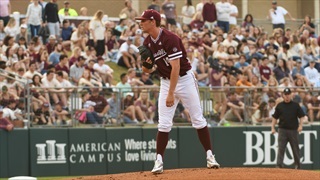 Follow along live with Ryan MacDonald as he posts live updates from Olsen Field. No. 10 Texas A&M blanked No. 22 Auburn behind a dominating performance from John Doxakis and timely hitting. Heath Clary offers his thoughts on the series opening win. 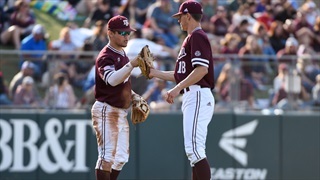 The Aggies will look to get back on track in the SEC with the opening of their weekend series against Auburn. 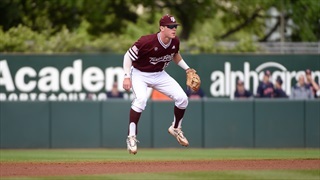 Follow along live as Joel Best provides updates throughout the game from Olsen Field. 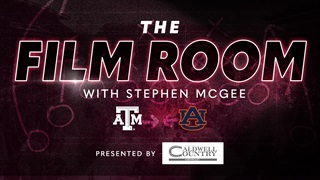 In a come from behind effort, Texas A&M rallied to beat Auburn on the road and secure their fourth straight victory. 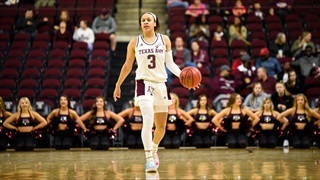 A&M was led once again by Chennedy Carter who contributed 28 points and the game winning shot in tonight's victory over the Tigers. 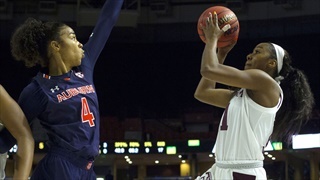 Turnovers and rebounding were again issues for the Aggies against Auburn last night. 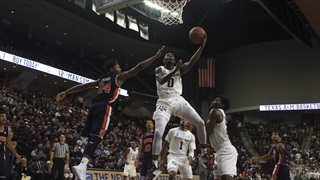 While A&M struggled on both ends of the floor, Auburn received contributions up and down their roster en route to their blowout win at Reed Arena. 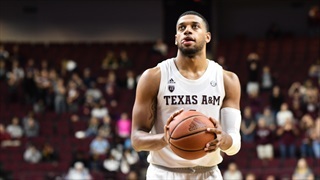 Despite standout performances from Wendell Mitchell and Savion Flagg, the Aggies were unable to hang with No. 14 Auburn down the stretch. The Tigers outrebounded the maroon and white 50 to 33. 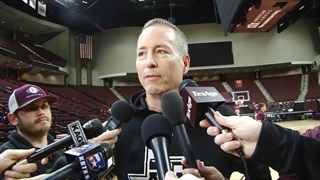 After upsetting Alabama on the road, the A&M basketball team looks to keep that momentum alive as they face a tougher test against No. 14 Auburn. 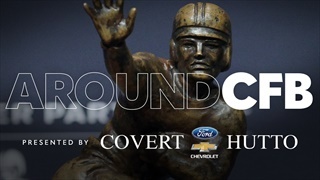 Follow the game with us as we provide up-to-the-minute updates from the big game. 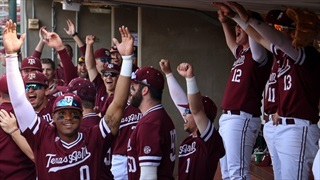 After a thrilling win against Alabama, the Maroon and White look to bring that momentum back to Reed in their matchup with Auburn. 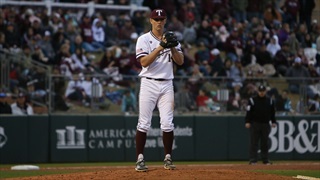 Logan Lee takes a closer look at the Aggies’ opponent. 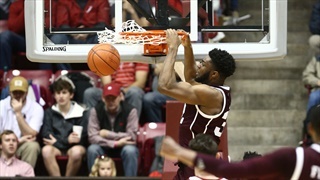 The Aggie men's basketball team got their first SEC win last game against Alabama in thrilling fashion. 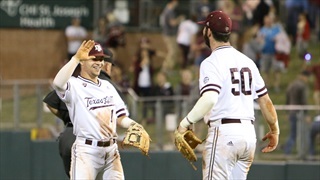 On Wednesday, Texas A&M will look to pull of an upset win over No. 14 Auburn and notch their second SEC victory. 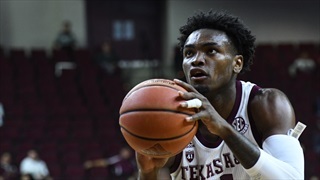 The Texas A&M men's basketball team is coming off a victory in Tuscaloosa that was won at the buzzer on a three pointer by TJ Starks. With No. 14 Auburn coming to Reed Arena tomorrow, the Aggies will look to ride that momentum into the game and pull of an upset. It's rivalry week in college football and teams like Michigan and Ohio State have a trip to their conference championship on the line. Both teams come in 10-1 to the matchup and try to keep playoff hopes alive. Plus Olin's Heisman watch list and playoff predictions.